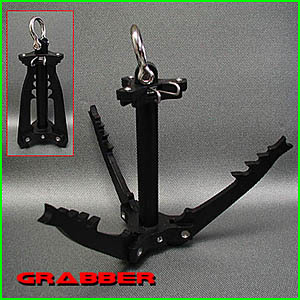 We designed the Grabber for the US Military in 2000. 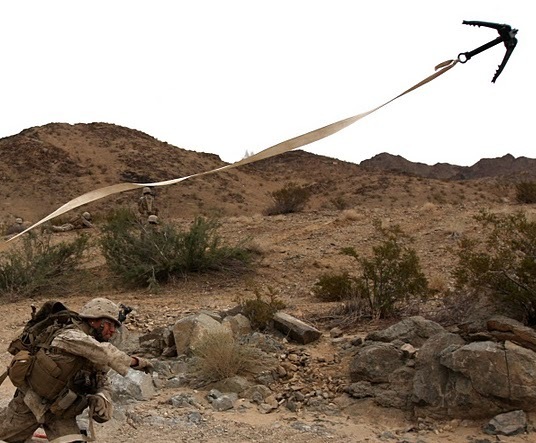 It has been the US Military's Folding Grappling Hook for almost 20 years now. Its 1.5 pounds of 7075 Aluminum and strong enough to hold 1650 pounds on a single arm. Entry, egress, minefield and IED discovery, mountain climbing, tree trimming, Kayak anchoring, white water rescue, and storm damage removal. Just a few of the items it has been used for. Besides being issued to pretty much all services and federal agencies, The Grabber is in a bunch of movies; GI Joe has made an exact miniature duplicate for the Ninja, and Special Ops GI Joe.